This is a classical game where a player must match bubbles of the same color. Shoot them with a cannon. 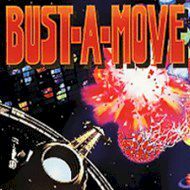 Bust-A-Move is a game where you compete with another player in matching colors game. You have to shoot identically colored bubbles with a cannon and convert them into points.